KEMAMAN: A contract worker suffered burns from a major fire which has engulfed three giant storage tanks for crude oil at a refinery here. The massive blaze is still raging almost eight hours after it broke out at 6.15pm yesterday. The injured worker, Rosli Muhamad, 42, sustained burns to his face and right hand and initially sought treatment at Kemaman Hospital. He was later transferred to the Sultanah Nur Zahirah Hospital in Batu Burok, Kuala Terengganu where he is being treated in the burns unit. 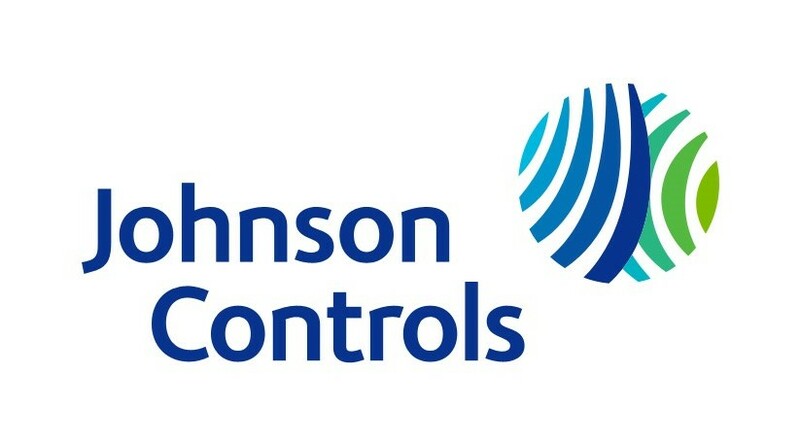 “We believe the victim was carrying out maintenance work near the site of the incident. “We are investigating the cause of the fire and damages sustained,” said Terengganu Fire and Rescue Department director Assistant Commissioner Azlimin Mat Noor. He was speaking to reporters at the scene of the fire at the Kemaman Bitumen Company Sdn Bhd’s (KBC) premises in the Teluk Kalong Industrial area. 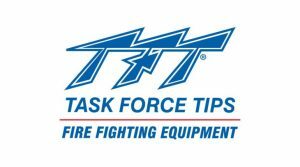 NSTP understands that losses from the fire are expected to run into the tens of millions of ringgit. 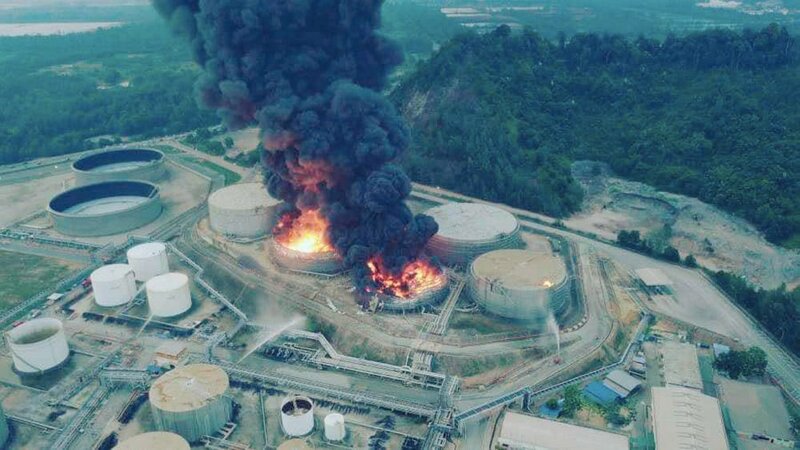 Meanwhile, Azlimin refuted viral social media reports claiming that six workers had perished in the fire, which broke out at one of the giant storage tanks containing crude oil. The fire then spread to a second tank and by 9.30pm, a third storage tank had caught fire. 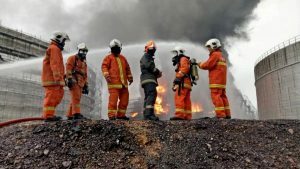 Azlimin said that firemen managed to extinguish the blaze at the first and second giant tanks by spraying 15,000 litres of coolant foams, along with water early today. 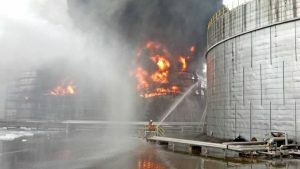 “We expect to douse the flames at the third tank, containing about 13,678 cubic metres of crude oil, by noon today. “At the same time, we are also taking measures to prevent the fire from spreading to other tanks nearby. “The initial plan was for KBC to siphon out any crude oil from the remaining tanks to a safer location, but we decided against the idea in case of spillage which can be catastrophic,” he said. Azlimin added that the first two tanks had contained 4,800 cubic metres and 1,580 cubic metres of crude oil, respectively. He said that firemen managed to source water from Syarikat Air Terengganu, the Kemaman Suply Base and KBC. The operation is involving nearly 150 firemen from the Kemaman, Chukai, Kerteh, Kijal, Cheneh, Paka, Dungun, Bandar Al-Muktaffi Billah Shah, Marang, Kuantan, Gebeng, Bandar Indera Mahkota and Kuantan stations. Police were also called in for crowd control and to cordon off the area for public safety. Also present at the site are members of the Civil Defence Force, Department of Safety and Health, Department of Environment, and a volunteer brigade from the Kemaman Mutual Aid (Kema), comprising nearby factory workers. 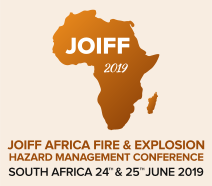 When the fire broke out at the first storage tank, thick, black smoke began filling the sky in the industrial area, and could be spotted several kilometres away. Meanwhile, an industrial expert told NSTP that KBC was incorporated in Malaysia on April 21, 2003 and is owned by the Tipco Asphalt Group of Companies based in Bangkok, Thailand and a Malaysian office in Empire Tower, Subang Jaya in Selangor. The 26ha refinery in Kemaman has a capacity of producing 30,000 barrels of crude oil daily; and in 2016 it reportedly processed 9.7 million barrels of crude oil or 1.5 million tonnes of asphalt and non-asphalt products. The refinery, a one-of-a-kind in Southeast Asia, is designed to process heavy naphthenic crude oils and produces high quality naphthenic asphalt, atmospheric gas oil (AGO), vacuum gas oil (VGO) and naphtha.